The sun is shining. The birds are tweeting. The bags are packed. A group of four Los Angeles residents are prepped to hike the Sierra Nevada foothills. They have their freeze-dried meals and their North Face jackets and even a GPS. What could go wrong? 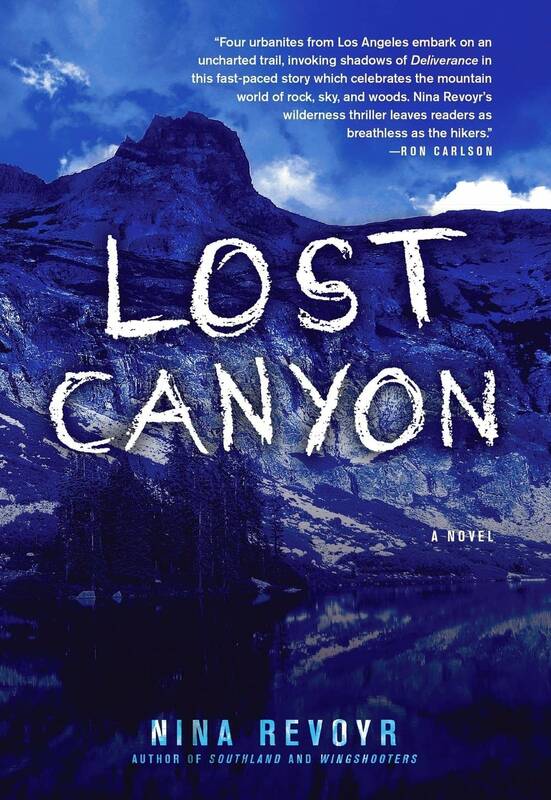 That's where Nina Revoyr's new novel, "Lost Canyon," picks up. Revoyr introduces four very different characters, all looking to escape their work and personal lives with a few days in the wilderness. There's Gwen, who counsels teenagers in poverty-stricken south Los Angeles, and Todd, a Wisconsin-transplant who makes big money as a lawyer but finds himself drifting away from his family. There's also Oscar, a Hispanic real estate agent who has watched — and profited from — the gentrification of his neighborhood. They've been corralled onto the trip by their trainer, Tracy, who talks about wanting to escape the gym for a more exciting life. When a forest fire interferes with their original plan, they head out on a different trail — one that no one has hiked for years, according the park ranger who tells them about it. Or that's what they think. With only a hand-drawn map to guide them, the group's escape into nature turns into a terrifying fight for their lives. The picturesque forests of inland California are revealed to be harboring all kinds of dangerous secrets. Revoyr joined MPR News' Kerri Miller to discuss her new novel and the allure of escaping into nature. For Revoyr, "Lost Canyon" was a chance to break into the adventure genre and introduce a diverse cast of characters often missing from adventure stories. "When you have adventure novels," Revoyr said. "They tend to be about white men from a certain socioeconomic class." In "Lost Canyon," her characters are black, Hispanic, white and Japanese. Revoyr herself was born to Japanese mother and a white American father. She grew up in California, Wisconsin and Japan, and now works with teenagers impacted by violence and poverty in Los Angeles, so it's easy to see shades of Revoyr in her novel. She began writing at a young age as a way to explore other lives, she said. One of her favorite childhood reads was C.S. Lewis' "Chronicles of Narnia" fantasy series, which has strange echoes in "Lost Canyon." "[The characters] have one kind of existence, then they go off and have these adventures, encounter beings they couldn't have imagined, and then come back changed," Revoyr said. There is, of course, one critical difference. "In my book," Revoyr said. "The animals don't talk."